This is a selection from the book Crowdsourcing Wisdom: a guide to doing public engagement that will actually make your community better (and won’t make people wish they hadn’t come.). If you like this selection, you may find the book useful. You can read more selections and get it for print or digital at crowdsourcingwisdombook.com. This section comes from Chapter 3, and it follows a description of a first grade classroom that drove home to me how important structure, predictability and being set up to succeed are for people large and small. This section outlines some of what we can learn from good classrooms about what people want out of their public participation experience. 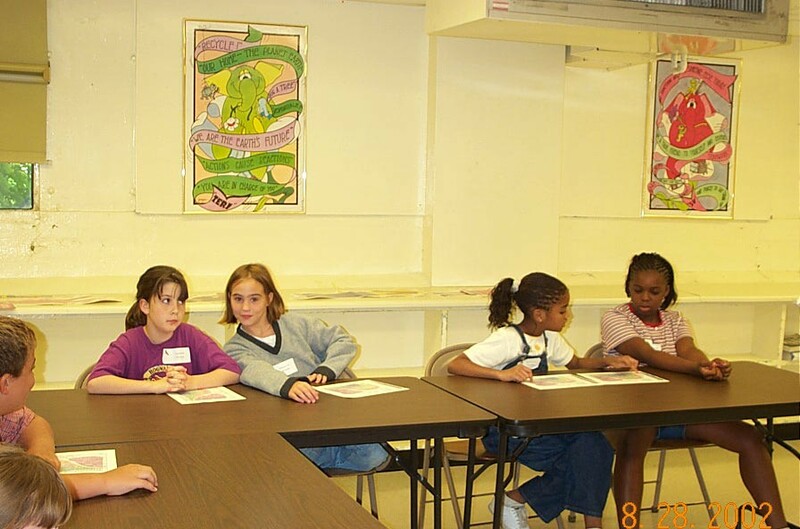 Kids participating in a focus group as part of a plan for their neighborhood in Huntsville, Alabama in the early 2000s. Yes, they’re not first graders. I know what I need to do to be successful. I know what’s going to happen next. I know that I can do it right. First graders have a whole lot more faith in their teachers than most adults have in their local government. And what we ask of adults can (and should) be a whole lot more challenging than what we ask of first graders. A situation that is set up to enable them to succeed. In my talks, I have sometimes referred to what Mrs. Brenner did as channeling — guiding a powerful force so that it flows in the direction where it can make the most positive impact. Think about a river: if it bursts its banks, the river water flow uncontrolled into places where it wasn’t supposed to be — fields, cities, houses. The flowing water has power, but that power is wasted, in a sense. If the river flows within its channel, it can drive a water wheel or a turbine, grind grain, make clean power. Engage them — get their hands deeply into — the search for solutions… solutions that are realistic and address the complexities and ambiguities of real community life. Large companies put massive amounts of effort into broadening their employee base to include the widest range of people possible and then creating team environments to work on solving complex challenges. They have learned that working groups of people who come from different backgrounds, different perspectives, can find more original solutions to complex problems through the interplay of their perspectives, provided that they are doing so within a structure that gives them that power. If they’re finding it necessary to use diverse team problem-solving to deal with issues like getting shampoo into a bottle, how much more do we desperately need real, deep, broad participation to deal with the massive complexities that make up a community? We often shy away from that, because we don’t trust the public. We’re afraid they’ll say something crazy, they’ll have different ideas, that they won’t Get It. But chances are, there’s something we’re not Getting, either. The crucial, and too often missing piece, is that we have to create a structure in which constructive collaboration between us and them can happen. But if first graders can do that, chances are the adults in your community can do it as well. We just need to channel them into success.